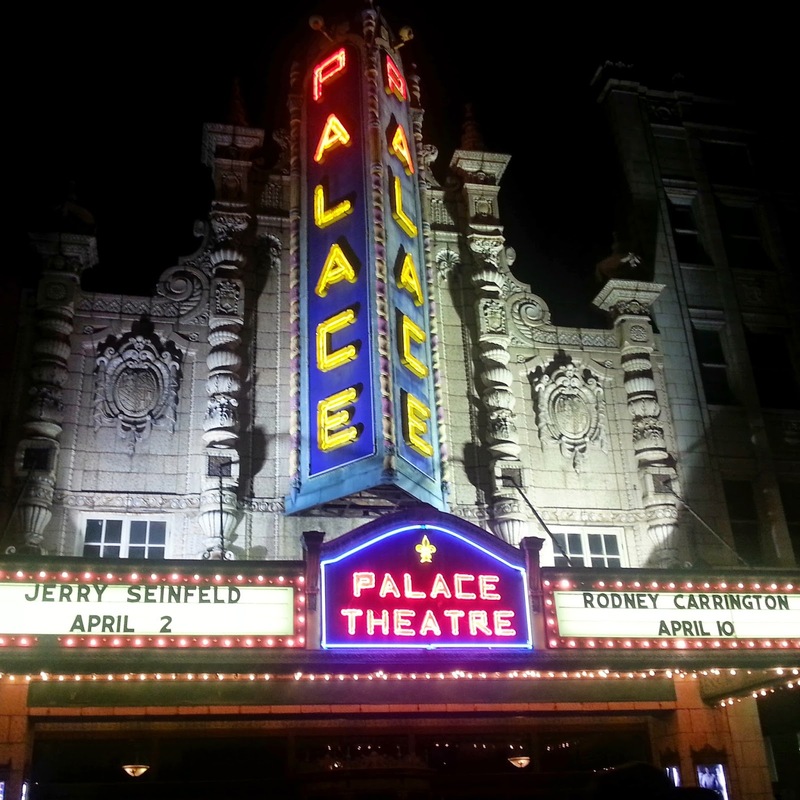 Jerry Seinfeld was FANTASTIC!!! I literally laughed at everything he said, as did the rest of the audience. I don't even know what else to say!! :p He was simply brilliant. I loved every single minute of it. He was so fun and energetic and very animated and kept the audience engaged the whole entire hour he was on stage. One of the reasons I adore him is that his kind of comedy is perfect for me, he's very lighthearted and talks about things that I can relate to. Last night he did a bit about going out and how once you are out you just want to go back home and I couldn't stop laughing. Him talking about food and the Pop tart had me in hysterics and when he started talking about marriage and his wife and kids I was in tears of laughter! :) It was a thoroughly enjoyable hour of entertainment and I couldn't quite believe he was in front of us and we were actually getting to see Jerry Seinfeld live!! Ooh and I have to say, every time he did his high voice that we all know and love from Seinfeld, it just made me smile so big! :) At the end of his set he even took time to talk a little with the audience and have us ask him questions and he was just delightful! It was an awesome night and I would definitely jump at the chance to see him again in future. I think Kelly would love him too! Hope everyone has a great Friday night! That is so awesome, I have always loved Jerry Seinfeld! Seinfeld will forever be one of those shows that I can watch over and over and never get sick of! Sounds like you had such a fabulous time! Also you spilled Beer in Chris!? Too funny!